Mobile | A Mirror of My Thoughts! Now I know there is such a complicated name for all those phantom rings that I hear at times! 🙂 I can vouch for the advantages of being truly connected always, though I love the solitary solace of being switched off from the world at times.. Yet, beware of anything that becomes a habit or an obsession. Sadly for many of us, mobile is. What to Do If Your Phone Has Taken a Shower? After doing all wrong things with my N70 finally I got the process right. The first thought that popped up was Oh God! I lost my contacts!!! It made me realize how much this little piece has become a part of my identity. It is so easy to reach to people with just a click that I rarely spare a thought to the convenience and technology thats at work behind the scenes. Guess I got accustomed to the loss pretty soon as I was going through this experience for second time. Guess the effect was palliated by the wooing of so many mobile models in the market with lots of attractive features. Guess that called for an upgrade and I was soon hunting for a new mobile model which could double up as a Music Player and Camera as well. Yet, I loved my little Samsung mobile.. Its comfortable for SMS, great for calls, with spectacular display and a handy size. More over, I loved the FM and Cam features too. The moment of nostalgia came when I sat beside a person who is chatting her way in that Samsung X620.. Though I had this brand new N70m in my hand, I sighed longingly!!! Well, A couple of liners about my new N70m.. 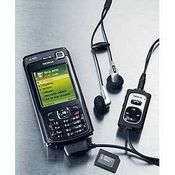 It got great music, Sudoku game and an OK 2MP camera. Hope it does a decent job in capturing some impromptu moments.. Its a bit bulky and heavy on hand, yet it makes up for it by offering a lot of convenience features. I can tag my thoughts at will and can dispense off my little transend. Imagine how simple it would be if you just take a picture of something with your Mobile and search it via Internet. It would take the search engine and online shopping to the next level and enhance the comfort factor in our life. Check out what Nevenvision and Mobot got to say over this. Much like the Photo2Search project being developed by Microsoft Research Asia, a new cameraphone-based image recognition service called “Search By Camera!“ is promising to help consumers acquire info on products by simply snapping a picture while shopping.